Any red-blooded male will tell you that when it comes to grillin’, size really does matter. However, with pellet grills you can stretch that a little bit simply because of how they work. Instead of having hot spots and uneven temperatures like on any other grill, cooking with pellets is completely different. Here’s where size doesn’t fit into the equation: even heat. In other words, you can cook, um, grill anything you desire right on up to the edge of your grillin’ surface. Try that with gas or charcoal. 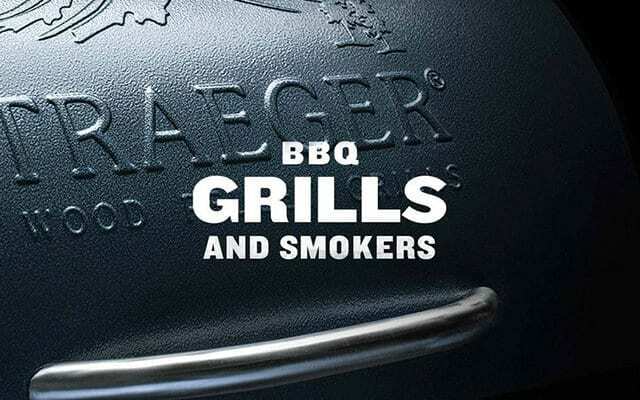 Here’s four of our favorite Traeger Pellet Grills. Traeger is not shy about this at all. They even refer to it as a 6-in-1 versatility. What that means to you and us is this – you can use the pellet grill for more than just barbecuing. So, in addition to barbecuing you can use these Traeger pellet grills to grill, smoke, roast, bake and braise. That’s a big money saver no matter how you slice it. Each of these grills contains what may be considered the most important part of the grilled-to-juicy-perfection equation. It’s a temperature control that operates like a dial and keeps temperatures in a range of plus or minus 20-degrees F. In other words, accurate temperatures that are easy to regulate up or down depending on your food preparation needs. The Lil’ Tex Elite 22, the Junior Elite and the Texas Elite 34 all are promoted as being easy to use with predictable results. That’s a fancy way of saying the grillin’ is consistent and all you really need to do is set it up and let it do its magic. The Tailgater likely offers the same feature although it is not mentioned specifically in online specifications. That being said, the Tailgater is the more portable of the Traeger pellet grills with EZ-fold legs so you can take it anywhere you need to do some outdoor grillin’ or barbecuing. Here’s where the four different Traeger pellet grills differ. Let’s break it down further for you with measurements and food visuals. This model is promoted as the perfect choice for at home cooking. No wonder, it has 418 square inches of grillin’ space. If that doesn’t give you a good enough picture, imagine this one as having space enough to hold 16 burgers, or 4 whole chickens or 5 racks of ribs. Now you’re talking big time barbecuing. This model is also a good choice for home use or camping. You will also get away with tailgating with this one as well. The cooking surface is 300 square inches or enough space for a dozen burgers, a couple of whole chickens or a set of three racks of ribs. We have a full review here. In the world of big, bigger and biggest this model is the last on that list. It’s actually more what we would call ginormous. With a cooking surface of 646 square inches, you may be spotted by the International Space Station on a clear day. This unit can accommodate two dozen burgers, half a dozen whole chickens or 9 racks of ribs. We have a full review here. We’ve already hinted that this is the portable on-the-go grill that you can basically fold up and take where you need it. However, it does pack some serious cooking volume. The 300 square inch surface will let you scorch a dozen burgers, a couple of whole chickens or three racks of ribs. We have a full review here. Which Traeger Pellet Grill Is The Best? Clearly a trick question. They all rock. You just need to match the right one with your specific cooking requirements and you will soon be in grillin’ Heaven. It couldn’t be much easier, especially with a quality brand like Traeger.